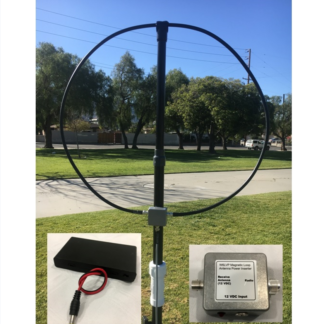 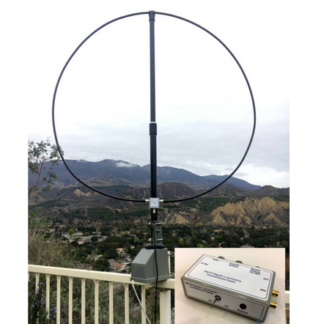 View cart “W6LVP Amplified Receive-Only Magnetic Loop Antenna – Portable Version” has been added to your cart. 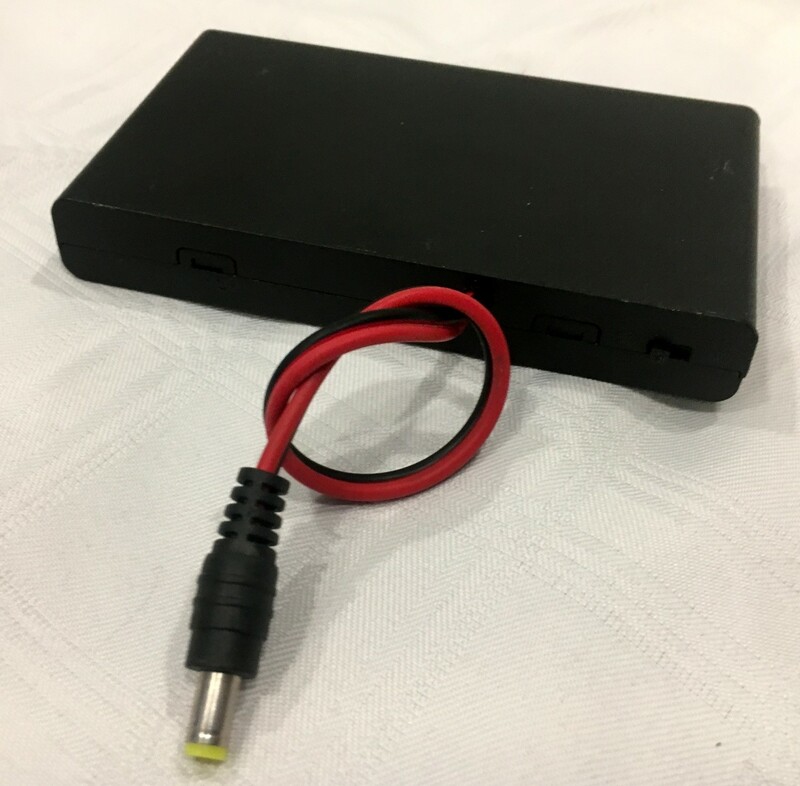 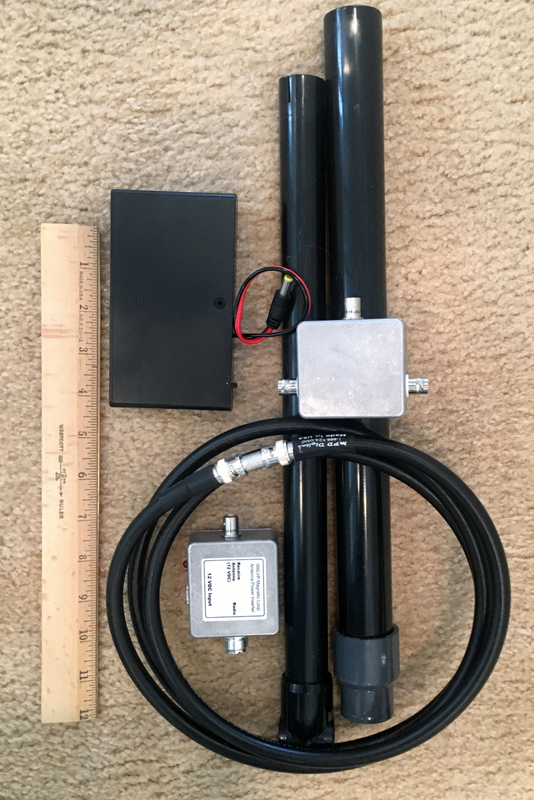 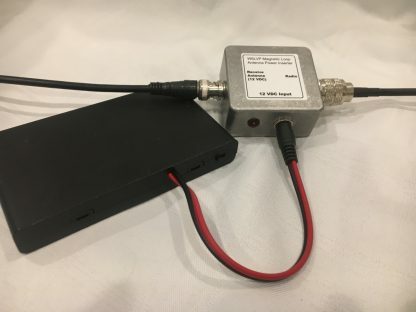 No compromises for a portable receive antenna that is small, light, and battery powered. Great tool to fight noise. 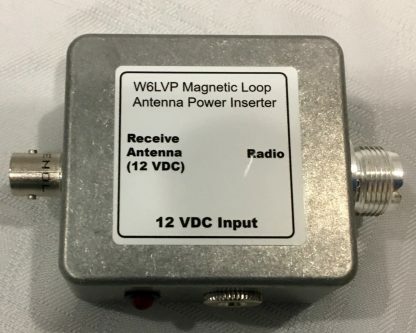 Rotate the loop for minimum noise. 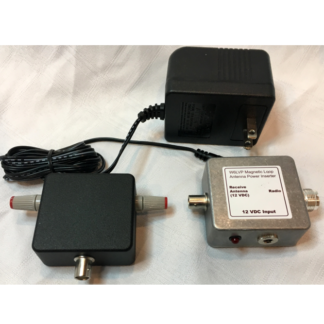 Loop preamp and power inserter are optimized for low-current yielding longer battery life operation. 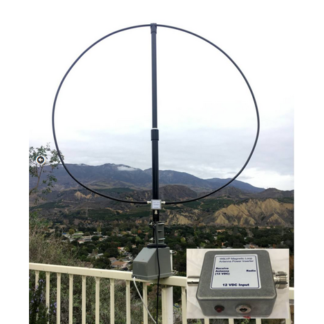 The LMR-400 coaxial cable loop is rigid enough to maintain its shape but flexible for easy portable transport. 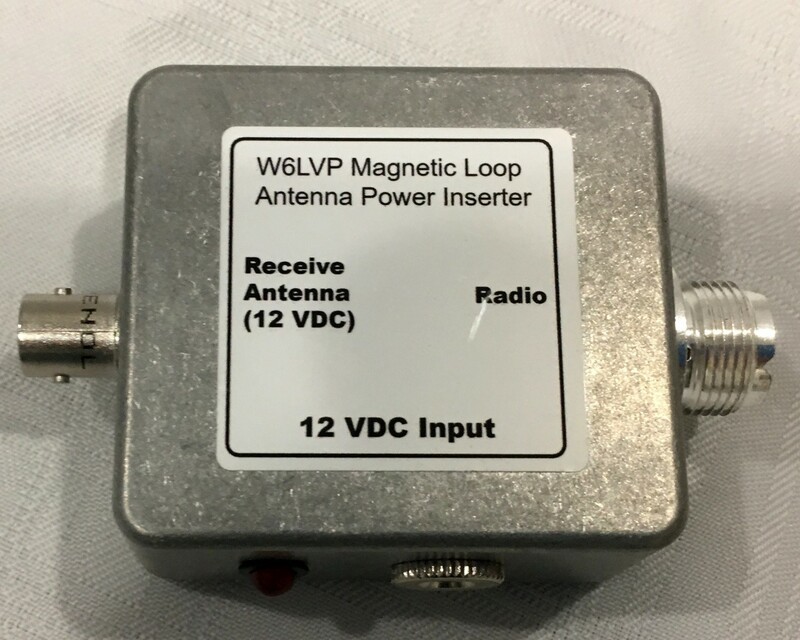 Includes a low-noise, broadband amplifier covering 2200 meters (135 kHz) through 10 meters (30 MHz) with no tuning or adjustment. 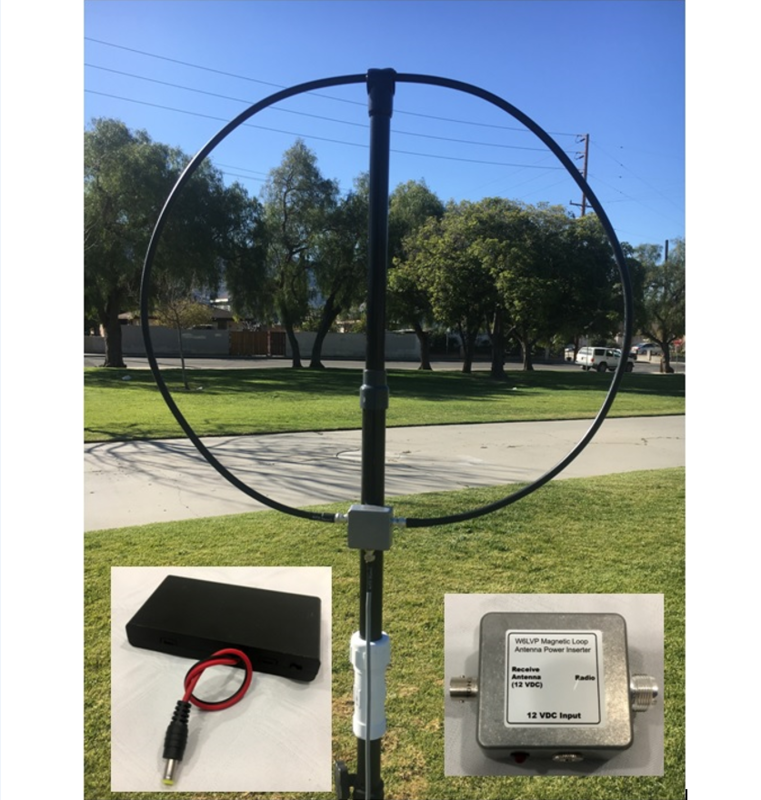 Perfect match for continuous tuning SDR receivers. 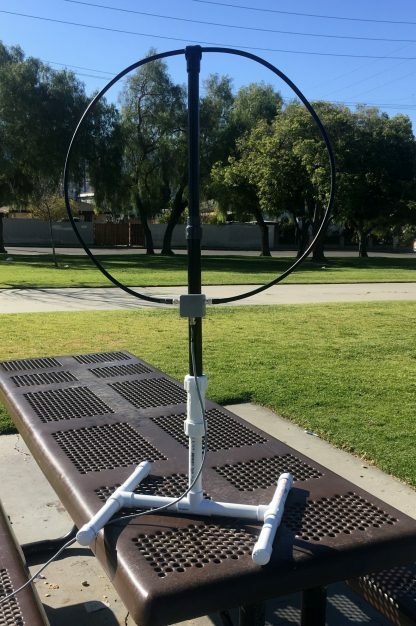 Light-weight antenna structure fabricated from furniture-grade PVC yields a strong but very light antenna weighing less than two pounds (not including power inserter or battery pack). 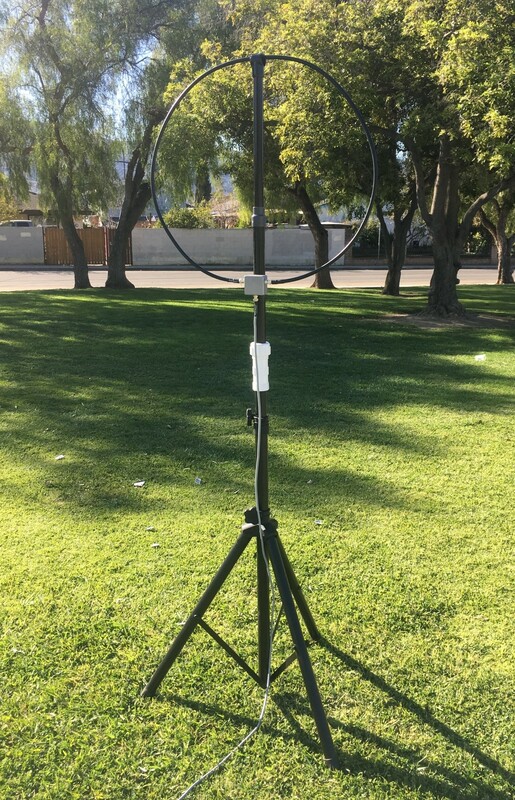 Compatible with a low-cost speaker tripod (not included) or DIY PVC H-frame stand.